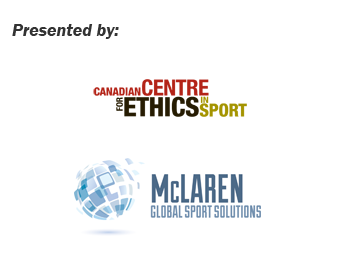 The Canadian Centre for Ethics in Sport (CCES) and McLaren Global Sport Solutions Inc. (MGSS) are pleased to present the first-ever Canadian symposium addressing the issues of match manipulation and gambling in sport. The Canadian sport community has yet to feel the real impact of match manipulation and gambling in sport, and the resulting corruption that is prevalent in other countries, although it is an emerging threat in Canada. There is a need to focus on the issues associated with sport betting particularly given the recent changes to its legal status in the United States. The Canadian sport community needs to be equipped with an understanding of the opportunities and risks associated with sport betting as there is mounting pressure for Canadian legislation to follow suit.